Today from historic Keens Steakhouse, New York Sports Tours launches New York City’s only luxury sports tour ride experience — the world’s only known guided tour of sports history that features exclusive documentaries and other original content. Acclaimed sports broadcaster and New York City native Mary Carillo — who narrates more than 30 of the brief documentaries — hosts the launch event, with a keynote address by Brian Cashman, general manager of the New York Yankees. Created for sports fans and non-fans alike, the three-hour multimedia tour is conducted in a comfortable luxury vehicle throughout Midtown Manhattan. Guests learn from a live narrator and on-screen content how sports people, places and events in Greater New York have helped shape culture and society in the city, nation and world. All tours are scheduled to end at Keens, an iconic restaurant that has hosted sports figures for more than 130 years. On select days, the experience continues with an intimate lunch or dinner with a New York sports personality. The tour begins on Vanderbilt Avenue near Grand Central Terminal and passes more than 50 points of interest from Greater New York sports history, with stories that demonstrate sports’ influence over the past 150 years in fields such as advertising, architecture, civil rights, entertainment, fashion, finance, health, language, law, politics and science. During the tour, guests are invited to examine rare historical items that are connected to the stories told along the tour route. 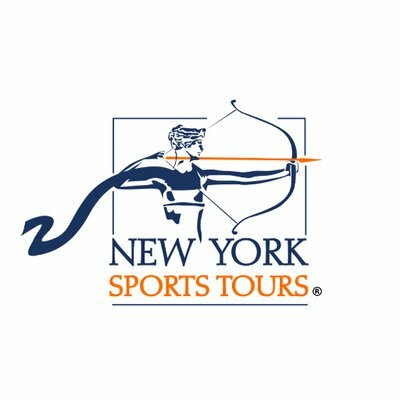 At the end of the tour, each guest is given a private password to access New York Sports Tours’ virtual New York sports history museum, an online site that houses exclusive and rare content, including original documentaries tied in to places on the tour route but not seen on the tour. The many sites featured along the tour route include sports birthplaces, including those of baseball as we know it, of football’s foundational rules, and of basketball’s broad popularity. Nine guest seats are available per tour, with plans to offer tours for up to 20 guests. Luxury vehicles of other sizes are available for private groups. Tickets are $200 for the outing that includes the meal hosted by a sports personality, and $150 for the tour offered without a meal. Gift cards are also available. Each guest receives a complimentary New York Sports Tours baseball cap. Private group tours can be arranged for specific days and times. Some tour and meal elements can be customized to meet the group’s needs and are priced accordingly. New York Sports Tours LLC is dedicated to preserving and bringing to life the history of sports in Greater New York through guided tours, which include meals with New York sports personalities. For information about reservations, contact Kathy Paprocki at kathy@newyorksports.tours or 212 244 1132.